Solving dog behavioral issues such as aggression towards people or other animals. Curing embarrassing and annoying habits like barking, jumping up on people, scratching and whining at the back door. Creating an obedient dog or puppy that will sit or stay on command, come immediately when called, and happily walk on leash without tugging (sorry, we don't train children!). Setting boundaries for 'off-limits' areas for your dog. Your dog lives with your family, in your home. This is where he misbehaves most often, so this is where dog behavior training is most effective. Dogs learn by association. Bark Busters teaches your dog to listen in the home environment. If he does not listen at home, he will not listen outside your territory. Bark Buster trainers conduct the one-on-one training in your home, without the distraction of other dogs or the stress of being sent away for dog obedience training at a kennel. After learning in your home, our behavioral therapist and trainer will work with you as needed outside and around real distractions, once you and your dog are ready. Humane, non-physical, natural dog training approach. All dogs are not the same, so we vary our approach based on each dog's personality and temperament and what will work for that dog. We also vary the dog behavior training to suit the family's specific needs and lifestyle, the dog's environment and what YOU do or do not want from your dog. Our positive dog training methods are pain-free, treat-free, and clicker-free. We DO NOT use shock collars, spray collars or pronged collars. 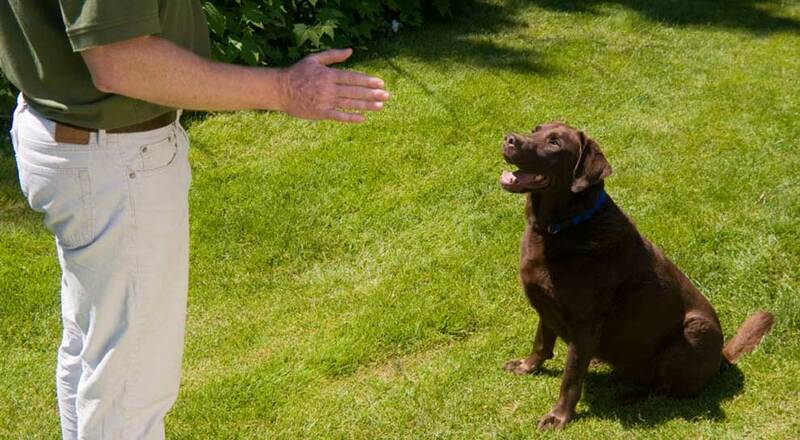 We will teach you a system of communication your dog already knows, based on canine communication and pack behavior. You will learn how to use your body language and voice tones to get your dog to focus and respect you. You can learn to teach your dog behaviors that are and are not acceptable, both on and off leash, at your home, at the park or virtually anywhere. What is included in Bark Busters Home Dog Training? Bark Busters trainers are committed to solving your dog's behavioral issues. We charge a one-time fee on your initial lesson which also covers you and your dog for follow-up visits until you achieve your goals with your dog. We are there for you and will return if new problems arise or old ones resurface. The first dog training session will take about 2 to 3 hours. Following the first session, you will continue to build the right relationship between you and your dog by practicing for 10-15 minutes a day. This will reinforce your dog's newly learned behavior. Bark Busters is the only dog training company that offers guaranteed lifetime support because our training really does work. Our guaranteed lifetime support gives you peace of mind knowing you have a dog training partner for the life of your dog.